Planned as a timely addendum to Edward Said’s Orientalism and post- colonial scholarship, Beyazit Akman’s Representation of Turks and Islam in British Literature series focuses on the rarely discussed case of the image of Ottomans and Islam in the works of three masters of the British canon. 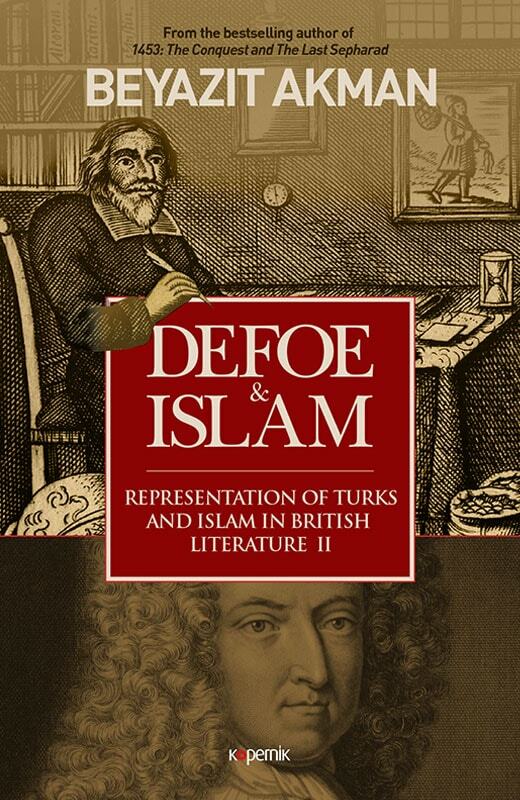 In Defoe & Islam, Akman focuses on the case of the Turkish Spy, Daniel Defoe’s most famous work before he wrote his seminal Robinson Crusoe, to trace the Ottoman and Islamic influence in British literary and political discourse. European orientalist tradition, which was shaped around a set of stark differences between cultures, has long left in the shadow a huge body of narratives, including travelogues, diplomatic correspondences, letters, historiographies, and fiction and non-fiction works that do not necessarily function within a typical orientalist framework. Resurrecting, analyzing and foregrounding these texts and offering an alternative history are at least as important as the study of orientalism itself. Defoe’s Turkish Spy is one such seminal work that offers readers a picture of the Turk and the Orient that challenges the established dichotomy of the East and West. The fact that Defoe defies orientalist stereotypes and writes against hatred of Turks at a time when British colonialism was reaching its zenith makes the case even more significant. Moreover, the fact that there are few critical studies on Defoe’s Turkish Spy is strong evidence of how orientalist scholarship might itself have been reductive in its selection of texts. Therefore, Akman sets out to fill in this gap with a study of the work by moving beyond traditional orientalist scholarship. Discussion of the connection between Defoe’s Robinson Crusoe and its precursor, Hayy bin Yaqzan, written by Ibn Tufail, a twelfth century Muslim polymath, further complicates and completes Akman’s work. The Representation of Turks and Islam in British Literature series will help scholars from diverse disciplines in the humanities such literature, comparative studies, history, political science, and anthropology. This series is planned to be an essential reference not only in the U.K. and U.S., but in many university libraries in Europe and the Middle East ranging where it is crucial to understand Ottoman heritage.